Our featured Indie Craft Parade artist of the week is Royal Buffet! 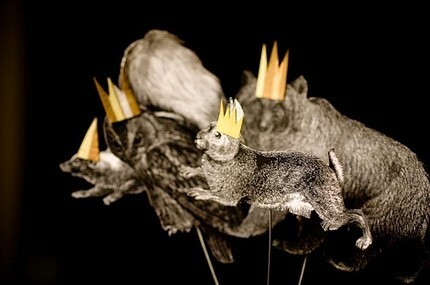 Royal Buffet is the masterpiece of Mollie Greene, and she makes paper perfection. 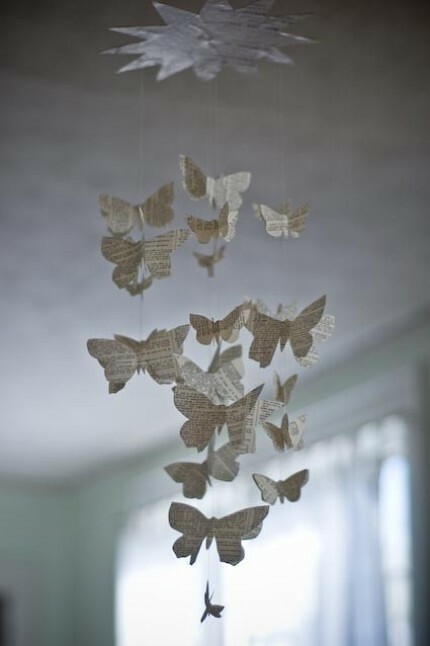 Using reclaimed magazines or books, the pages are snipped, glue, and strung to create lovelies just for you. 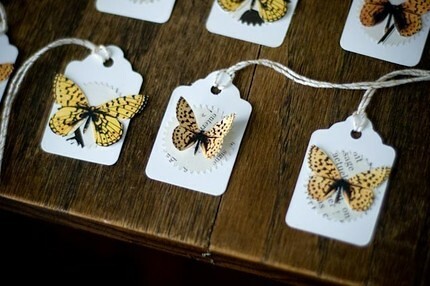 I can't decide which is my favorite... the delicate mobiles, cheery garland, or sweet gift tags! Royal Buffet's shop is temporarily closed, but you can read Mollie's blog in the meantime. 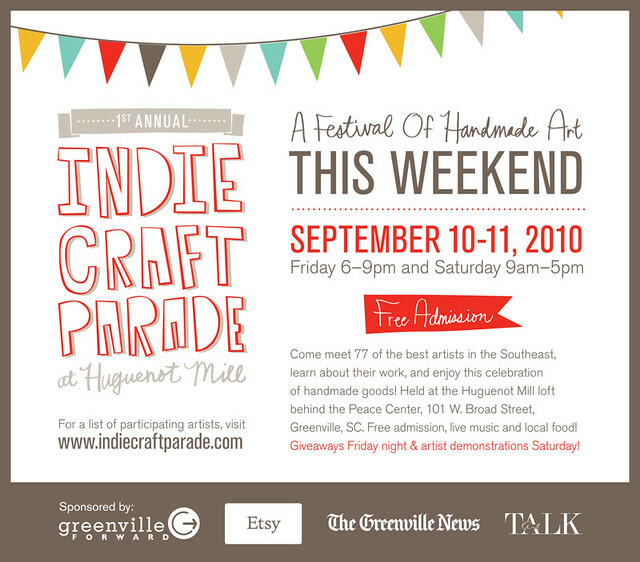 Don't forget to save your pennies for Indie Craft Parade, it's this weekend! 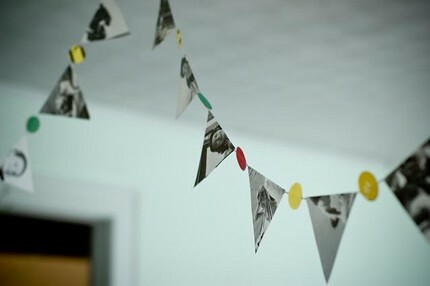 On a side note, Mollie's husband is also amazingly talented, he shot this video for us. I've been featuring an artist from Indie Craft Parade each week in preparation for the festival this weekend. It's this weekend! Don't miss it or you will be eternally sorry. Those are great! I'm so looking forward to the festival this weekend. It's good to live in Greenville!